We've seen plenty of super-fast drones in our time - such as the nippy one-of-a-kind Quadmovr unveiled last year - but they almost always tend to be prototypes or vehicles from the private sector. 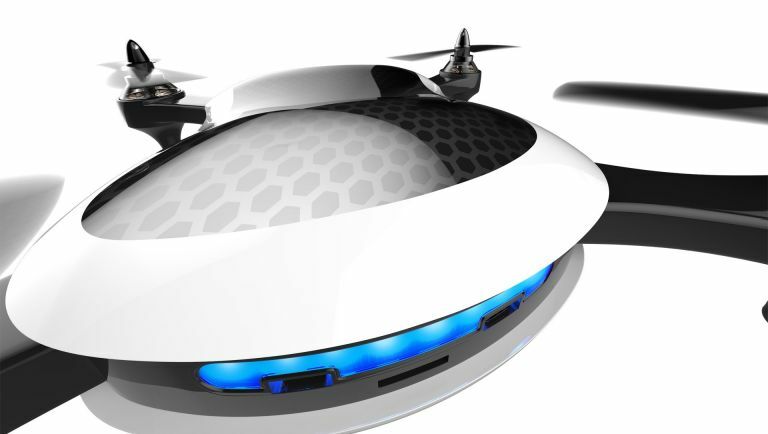 Not this one - manufacturer Teal says its design will be the fastest drone ever placed into mass-market production. Those are certainly some lofty claims, but with a reported top speed of 70 miles an hour this remote controlled gizmo could end up out pacing most of the cars on the road below it. There is a catch, as always - it can hit that top speed (and remain stable in high winds), but it's only got 20 minutes of flight time within a two-mile radius. In other words, it's perfect if your hoping to start brushing up on your drone racing skills at home. It's a smart little cookie, too - it's packing a powerful NVIDIA's Tegra TX1 processor for fast manouvers in the air, a 4K camera (naturally) and the option to download third-party apps. "After years of flying drones and imagining their infinite possibility, we've brought our dream to life," comments the American firm on its official website. "Teal is more than a flying camera. It can fly 70 mph, withstand 40 mph winds, it's built to run as many apps as you can think of, and it has a supercomputer onboard that lets it do things that no other drone can do." The Teal drone can now be ore-ordered for $1,299 (£981), and if you make your order before 15 August you'll also get a high-capacity battery to give your drone a litle extra juice. Teal says orders should ship by Christmas.